A junior ascending channel pattern has guided the Eurozone single currency versus the Canadian Dollar towards the upper boundary of a medium-term descending channel at 1.5099. The currency pair breached both the 100– and 200-hour SMAs during last week’s trading session. Everything being equal, it is likely that the currency exchange rate will continue to edge higher within this week’s trading session. 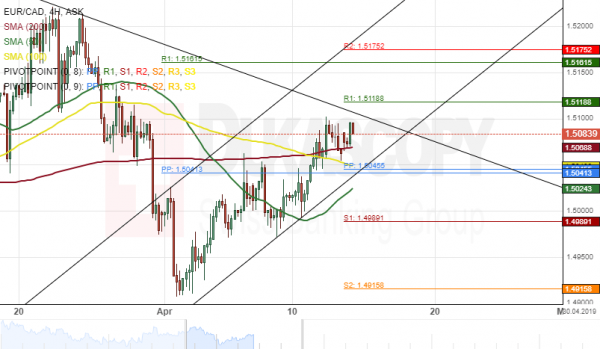 The potential targets for the pair will be near the weekly R1 at 1.5161.